WAKEFIELD (US) – Despite competition from ultrasonic, Coriolis, and other new-technology flowmeters, turbine flowmeters remain a viable and popular choice for a variety of applications. This is one finding in a new Flow Research study, The World Market for Turbine Flowmeters, 2nd Edition. 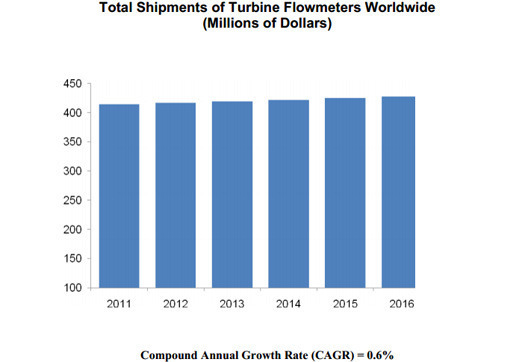 Turbine flowmeter revenues totaled $414.0 million in 2011 and are forecast to increase at a compound annual growth rate (CAGR) of 0.6 percent per year through 2016 to reach $427.5 million worldwide. In addition, turbine sales are being helped by new applications in oil & gas, cryogenics, ultra pure water processing, and other segments. Suppliers who support the aerospace industry are reporting an uptick in government spending for the military as well as for civilian and government aircraft flight applications. There are many reasons why turbine flowmeters remain popular. Turbine flowmeters excel at measuring clean, steady, medium to high-speed flow of low-viscosity fluids. They offer simplicity, accuracy, and the capability of customizing solutions for various applications. In addition, turbine meters have a significant cost advantage over Ultrasonic meters and Coriolis meters, especially in larger line sizes, although suppliers report increasing difficulty competing with Ultrasonic and Magnetic flowmeters in large line sizes. The price of turbine meters may also compare favorably to Differential Pressure (DP) flowmeters, especially in cases where one turbine meter can replace several DP meters. Users who are already familiar with turbine technology and don’t want to spend the extra money required to invest in a new technology are likely to stay with turbine meters. Flow Research provides research on flowmeters and other process control instrumentation. Recent market studies include a series of six studies on gas flow measurement as well as individual studies on positive displacement flowmeters and pressure transmitters. 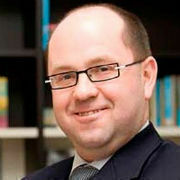 Flow Research also publishes quarterly reports on the flowmeter and energy markets as part of the Worldflow Monitoring Service (www.worldflow.com). The figure above shows total shipments of turbine flowmeters worldwide in millions of dollars from 2011 to 2016.